VATEL > Inside Vatel Bordeaux > Blog > Blog > Bianca Bekker: my internship in the reservations department. Bianca is twenty years old and she spent her entire childhood in Africa. She travelled a lot during that time with her family and stayed in many different hotels. She dreamed of working abroad. She likes changes, human relationships and speaks perfect English. 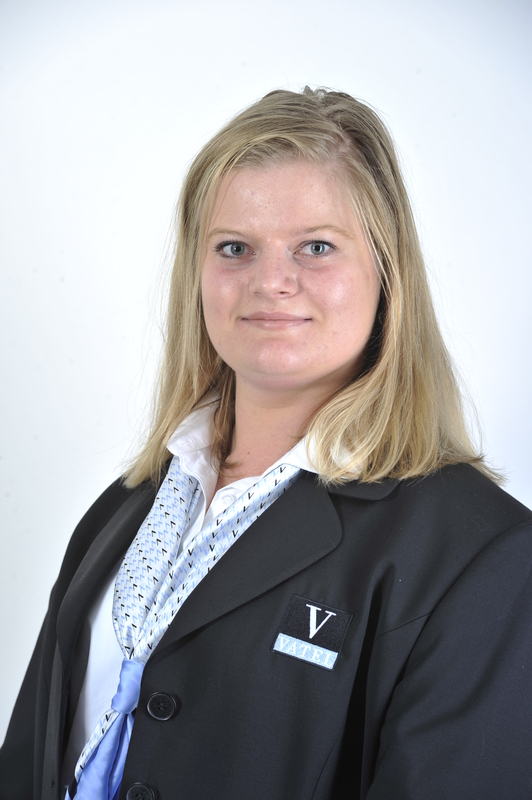 When she was only 15, she decided to target hospitality for her career and chose Vatel Bordeaux as her School. In her first Bachelor year in International Hotel Management, she did two internships at the reception desk at the Mercure Hotel and at the Vatel Hotel, and the decided to extend this experience. 1- Why did you do your four-month internship here, in the reservations department? 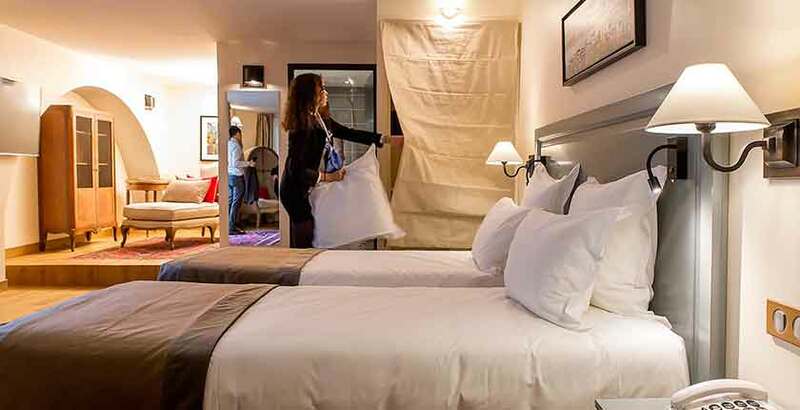 When you’ve got a four-star Hotel right in your School, that means that you learn a lot more than housekeeping, reception or taking reservations. You acquire various other hands-on experiences, and you’re plunged into professional reality right from the very beginning. It’s also an opportunity to work with other students. 2- Can you tell us a bit about what you do on a daily basis? – Managing the hotel’s e-reputation by responding to comments that our guests leave at online travel agencies and other sites, such as Booking, Expedia and Trip Advisor. 3- And how did the contact you had with the guests go then? With our guests, there are never any problems when all of their demands are satisfied. During the 2016 European Football Cup, we had people staying with us from all nationalities: Portuguese, Dutch, Spanish, etc. We had to find ways of communicating with them, telling them where their fan zones where, where the stadium was and all the facilities. It was really enriching to meet all of these people. 4- What did you learn from your internship? This internship allowed me to become more mature and to pin down the type of career I wanted. At the beginning I wanted to work in restaurant services, but now I’m totally aiming for hotel management. I would like to become a rooms division manager. This will affect me throughout all of my studies. 5- Can you give Vatel Bordeaux students 3 good reasons to do their internships at the Vatel Hotel? 1. As the Hotel is part of our School, we’re supervised all of the time, and we thus learn a lot more than those working in other structures, where the supervisors aren’t always as available to answer any questions we may have. 2. Our guests here know Vatel and they know that the employees are actually students. They’re thus more understanding when one of us makes a mistake. 3. Some people might think that a four-star Hotel with only 12 rooms is more relaxed and that we learn less. But on the contrary, I think that it’s an ideal context to be introduced to our line of work. Whatever the structure is, the level of quality and demand remains the same.